Some delicious and well received Christmas Dinner Desserts! Don't miss out! How could you go wrong with something like this? And everyone loves chocolate, including double chocolate. Crunchy shell and raspberries with just the right amount of acidity to complement the richness of the chocolate. Recipe can be found here. 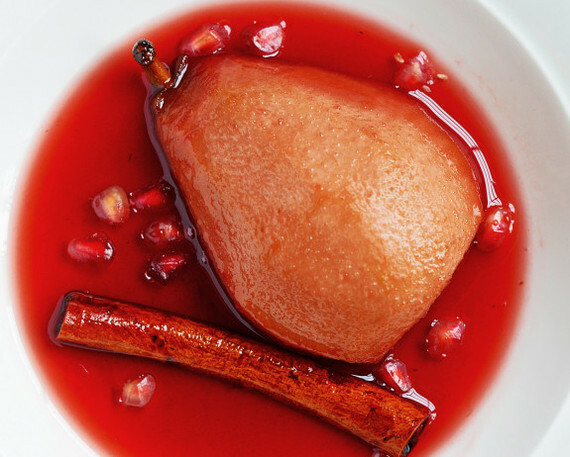 I love baked pears. They're so soft and juicy! This one is in some pomegranate syrup and cookie / biscotti. Find this recipe here. 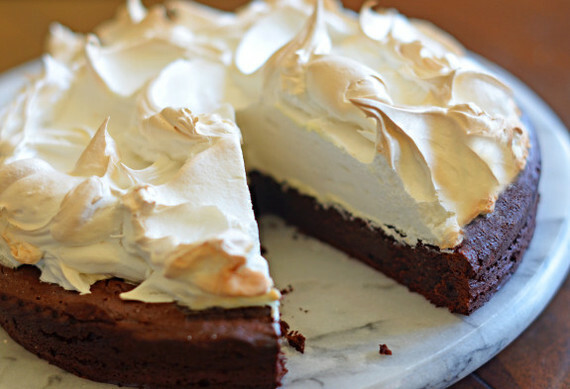 Another chocolate cake, but this has an exquisite meringue topping that is to die for. It's also a flourless cake, so expect very dense rich flavors of chocolate. The meringue does a great job of adding some light fluffiness to the richness, but doesn't take away. 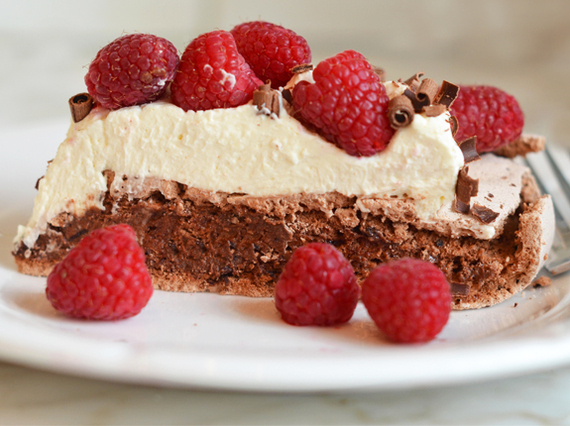 Learn how to make this chocolate cake here. As I mentioned earlier, cheesecakes are my favorite! 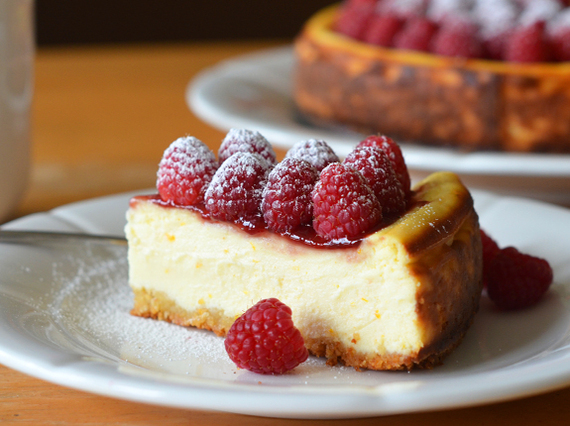 This one is a standard american style cheescake with an almond crust! In this case, it's topped with raspberries, but feel free to change to sliced strawberries, grapes, blueberries, or another acidic fruit. Recipe for this one is here. This is a classic combination, peanut butter and chocolate! How could you go wrong? 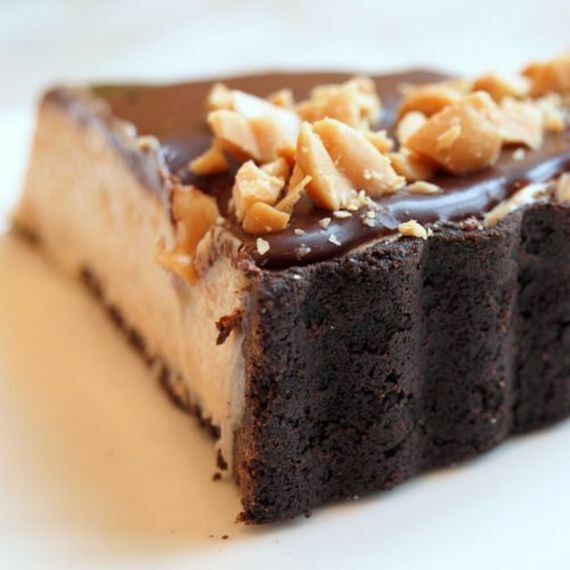 This is a winning combination, dense chocolate crust and chocolate ganache topping covered with peanuts. Get some coffee or tea for this one, it's a rich explosion in your mouth! Recipe here.